Overweight people who weigh themselves regularly are more successful at losing weight and keeping it off, studies report. 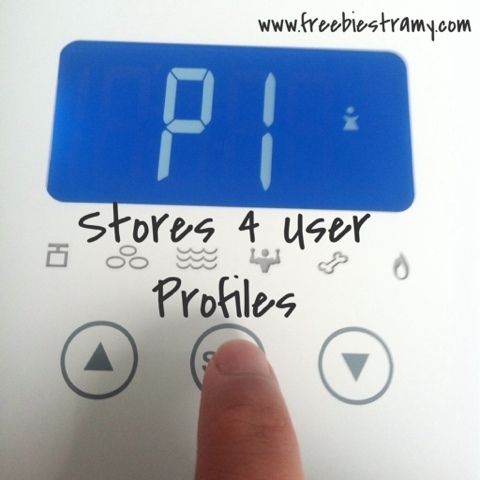 But do special bathroom scales that measure body fat offer added advantages? 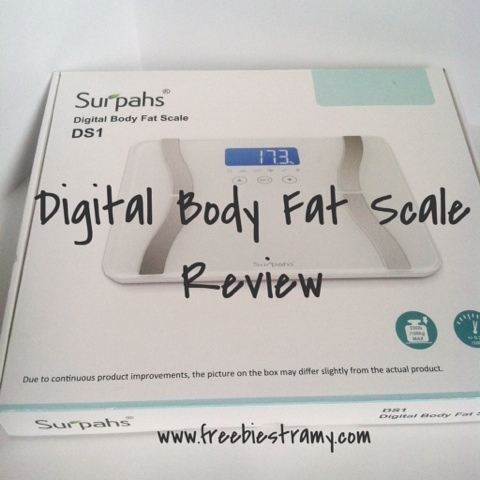 Recently when I got a chance to try and review Dual-S Body Fat Scale by Surpahs, I thought of putting all the doubts at rest. Our bodies are interesting. We gain weight quickly but take double the time to lose that same weight. If we do not take charge now, by the time we realize it might be too late. Every time you plan to lose weight, repeat the same words over and again "I can do this...I know I can." It is just going to take time and patience. All obese people, are afraid to weigh themselves. I know this by experience. I just want to let them know, a year from now you may wish you had started working on losing weight today. Tomorrow never comes, whatever you want to do, do it today. The biggest step is to weigh regularly, as it helps to maintain and keep a check. 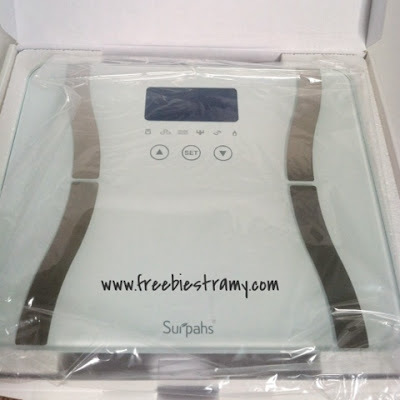 Get a good reliable weighing scale like Dual-S Body Fat Scale by Surpahs. Try not to get too obsessive with the numbers they display. Use a body fat scale to help stay motivated. 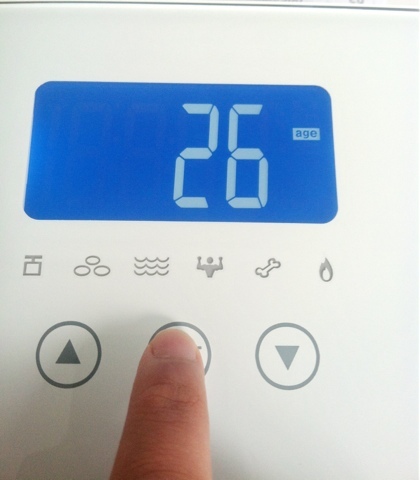 Body-fat scales should be used under similar conditions each time, such as time of day and fluid and food intake. Surpahs was conceived to deliver high quality home products at an innovative price point, working directly with the same manufacturers for many traditional brands in premium department stores, cut out the middle export/import distributing steps, and connect customers with these premium factories. Beautiful Twin-S electrode design, high tempered glass platform. 4 G-Sensors supports high precision body weight measurement. 4 User Recognition. Latest Bio Impedance Analysis (BIA) technology with 4-electrode measurement to support reliable estimates on the percentage of body fat, body water, muscle & bone mass, and kcal. 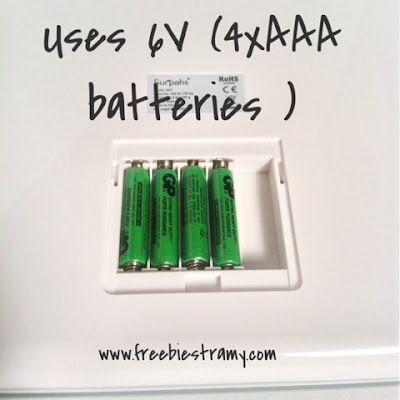 Automatic identify up to 4 users, powered by 4xAAA batteries (included). 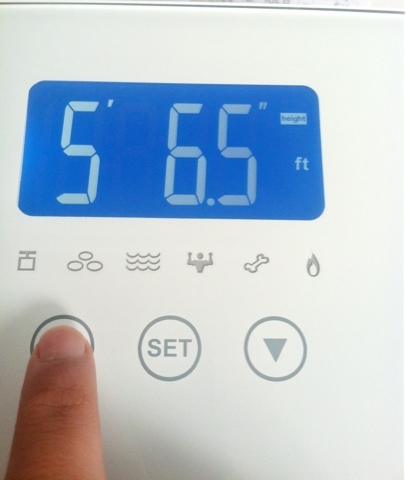 This is the first time I have ever used a body fat scale.It was extremely easy to set the profile. The option is to set up to 4 user profiles. The manual was easy to understand and I tried to compare the accuracy by weighing myself on regular trusted scale and body fat scale.The result was 99.99% accurate. 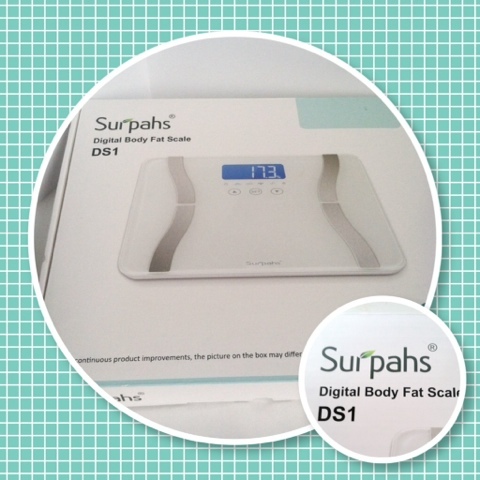 In addition to your weight in pounds or kilograms, Dual-S Body Fat Scale also weighs your body fat, muscle mass, bone mass, and kcal. It tells you how much kilo-calories you need to consume each day to keep your body weight. These can be interesting numbers to track, especially for those on a weight loss regime that includes exercising. 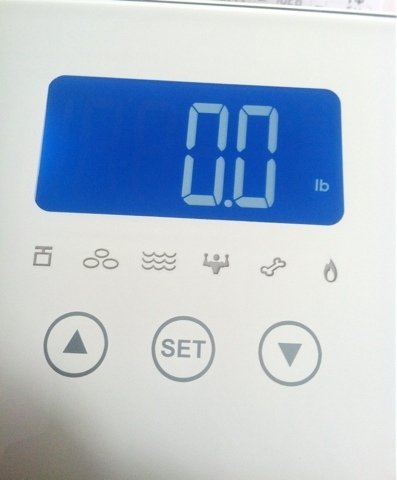 I have lost a couple of pounds especially body fat, since I got this scale. On a regular bathroom scale, it can be frustrating when the number on the scale, will not budge while you are dedicated to your exercise and healthy eating plan. This is where a body fat scale may play a useful role. It is possible that your body composition may be changing while your body weight remains the same. This occurs when you are losing body fat and gaining muscle (a good thing!). Muscle weighs more than fat. So, you actually may be making great progress and a body fat scale will reflect this more accurately than a typical scale. Dual-S Body Fat Scale uses Bio electrical Impedance Analysis (BIA) a very small, harmless electrical current passes through your body tissues, slower through fat and quicker through muscles. Resistance is measured. 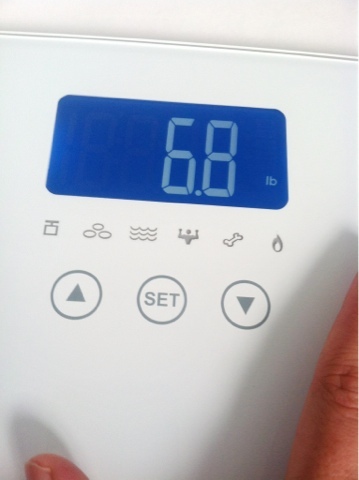 The scale then takes this reading and uses a formula to give you a body fat percentage reading. Body fat percentage is more than a number. By indicating what percentage of your actual weight is composed of fat, it reveals important information about your health status. I own this scale and LOVE it! Totally recommend it! Sounds like a great gadget to have. I hate scales though and don't trust them too much. I would love to try this one out though. Wow. That is pretty neat. Love all the benefits it has. Just to show you how behind I am... Never knew scales could measure body fat. That's probably why I hadn't lost any.. I think I'd really like that it calculates body fat. It's not all about actual pounds sometimes for me...it's about being all around healthier! I think I'd really like these scales! I like that is can store profiles, so my husband and I could both use it. This sounds like it would motivate me to lose weight. This sounds like a great scale, even though I definitely don't want to get it on it right now! I don't own any scales because I hate the thought of dwelling on weight because of different body types weighing the same. This might be a good option to be able to see the change in body mass as more muscle develops. I'd love to have a scale like this one. I like that you can put different profiles in there, for different members of the family!